Angi and Carl are a good match. 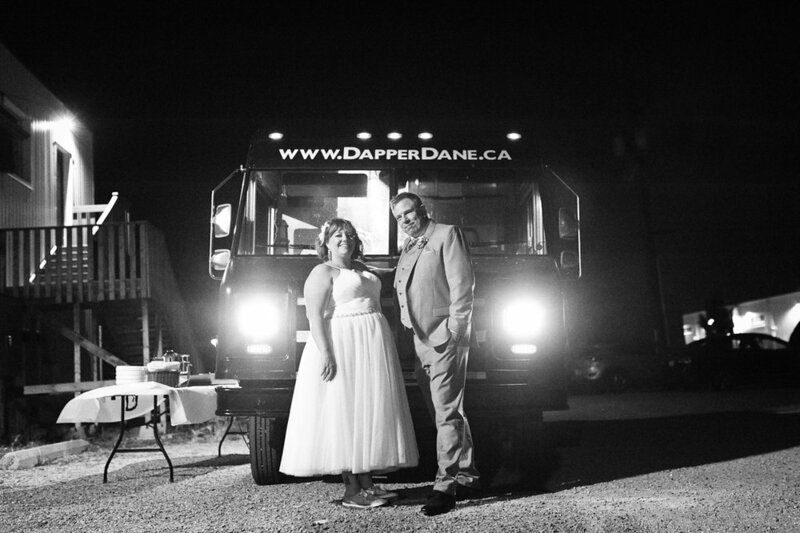 When I first met with them, I was struck by Angi's spunky, lovely, and fun-loving personality and Carl's dapper and sharp-witted sense of humour. Carl's criteria for wedding photography was "not too brochure-like for photos. Just photograph people drinking drinks and looking good and having a good time." Deal. Sounds amazing. 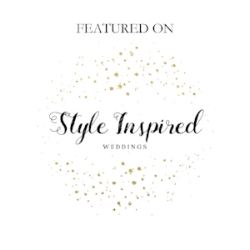 Angi planned her six shoe changes for the wedding day with her Irregular Shoe collection, which was more like stunning visual candy than footwear! The Union Jack shoes were a nod to Carl and his home of origin across the pond. The flowers = amazing. Angi's mom and family friend did all the florals and when you can convert to black and white a floral image and it still looks amazing with the textures and visual interest, then that's unreal. I wish their floral shop was closer to me- but check them out if you're in Maple Creek area. We started with a bride and groom casual first look at the hotel lounge and then made our way for some couple photos around the industrial areas. 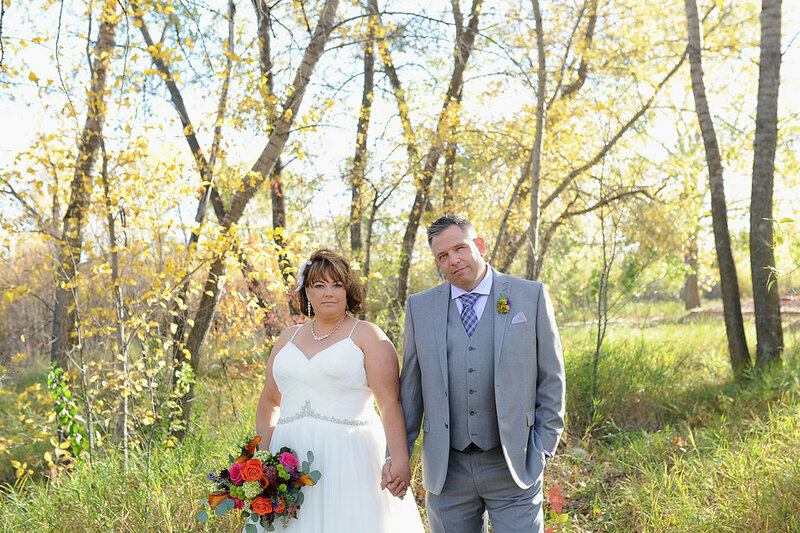 The changing leaves were perfect in colour and we got a few photos in nature as well to mix up the backdrops. 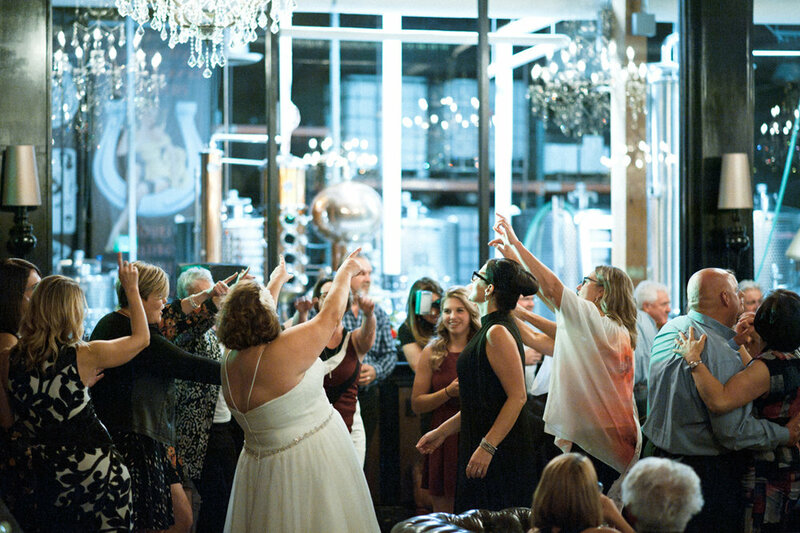 The gorgeous LB Distillers was the venue for the ceremony and reception. This was a great choice for a super fun party to hang out with their family and friends and celebrate late into the evening. 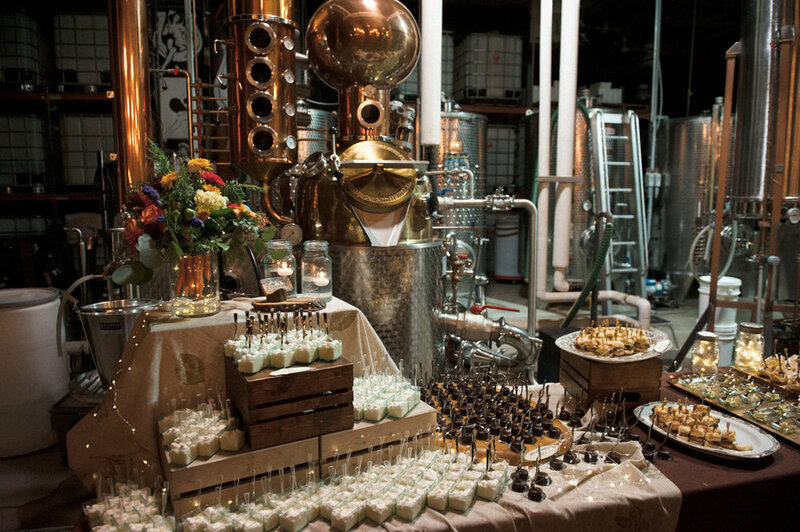 The food and desserts were art in themselves, and displayed so beautifully against the distillery. Somehow there was an unplanned first dance, and some unplanned toasts/cheers, but Angi & Carl went with it because that's what they do best! What was planned was the food truck that rolled in for midnight lunch and served up the most delicious grilled cheese and fried pickles. Yum. I highly encourage this out-of-the-norm fun idea. Carl & Angi, you guys were a blast to photograph. Thank for having me as a part of your day. Congratulations! !